It's no secret we're animal lovers, and our editor-in-chief a crazy cat lady. No secret at all. Chelsea's three furbabies have their own cat room and Facebook page and respective hashtags on Instagram for goodness sake. And if she would have been able to have cats around the time she got married, oh, you could bet that she would have tried to find some way to incorporate them into the big day. We cat lovers know that cats are very much homebodies and don't always do well when taken away from their everyday environments... which is why you see more dogs decked out in lovely florals and fancy bowtie collars on wedding blogs all the time. It's only natural, but it's a bummer for those whose purrfect companions are VIPs in their lives. But there is hope for us yet, friends! There are many beautiful ways to bring kitty into your special day. And if you happen to have a cat who is atypical, loves to go on outdoor adventures, and is in your wedding. You need to email us stat. We want to feature that wedding. Bella is my first child who just happens to have fur and four legs. She is a grey tabby rescue who stole my heart from the first time I saw her picture. Even today, Ryan jokes about how he knew she was ours by my expression when I found her. By the time we got married, she was three years old, and we'd been through hell and back together. Long story short, she ended up being a special needs cat. She has epilepsy and getting the diagnosis and then the correct dose of medicine was a challenge: mentally, physically, and emotionally. But there isn't anything we wouldn't do (if we have the means or a credit card) for our baby. You often see wedding pictures with the couple's dog included in the wedding – ring bearer anyone? I wanted that, but with our cat – she would have been THE cutest flower girl EVER. Unfortunately, our venue was a restaurant so no pets were allowed understandably. Knowing that we couldn't physically bring her and have her be a part of our day, we decided to incorporate her in as many different ways as possible. When all was said and done, her silhouette was on our invitations, her picture was in the center of my fascinator, Ryan carved and hand-printed linoleum prints to incorporate in our centerpieces, her pictures were in our picture display including our guest book (made from our engagement pictures), and we had our florist, Palette of Petals, add a silver cat charm to Ryan's boutonniere. In addition to some of the ideas that Ashley and Ryan did with their wedding, there are many ways to bring your domestic kitten into the big day. • In lieu of traditional wedding favors, donate to a cat rescue organization in your kitty's name. Organizations like the national ASPCA and the more local Peninsula Pet Pantry are always grateful for any donation they receive. Do good and feel good through your nuptials! • Use cat cake toppers. From chic to modern to vintage, there are a slew of cat cake toppers all over the internet. My personal favorite is this modern black cat set on Etsy! Find the one that matches your wedding style and make that cake extra purrfect! • Have your First Look at your home. When you see each other for the first time, why not have Kitty being held by one of you? Take it to the next adorable level? Bowtie collars or mini floral wreaths for the wedding cat! 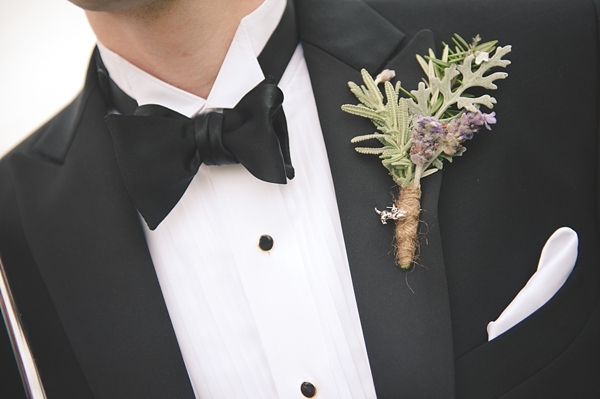 • Stitch a secret kitty emblem underneath your suit/tie/wedding gown. This "hidden token" is a sweet way to memorialize a furbaby who is no longer with you, but you still wanted to incorporate in one of the most important days of your life. 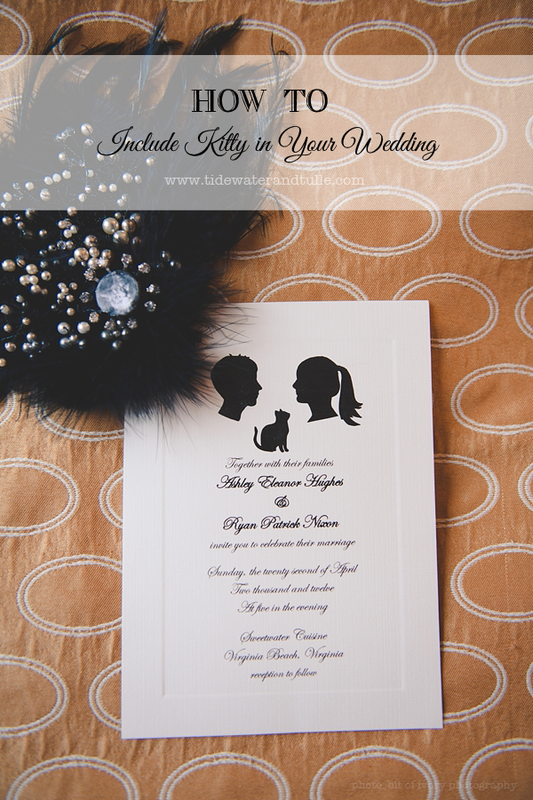 • Print off kitty cut-outs for formal portraits. Have a bit of quirky style? Get professionally printed cardboard cut-outs of your felines and snag a portrait with them throughout the wedding day like this Hawaiian wedding couple did. 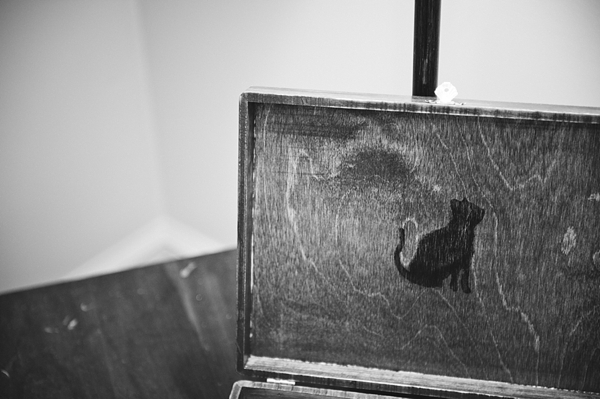 And if you're having a photo booth, put them in the prop box for even more fun with your wedding guests! Because let's be real. If you're getting cardboard cutouts of your cats, then the world probably already knows the level of cat love you have. • Have cat-themed sweets for dessert. Since donuts are the new cupcake, make your own cat donuts for a late night reception snack. You know your guests will Instagram the heck out of them! Hashtag best wedding ever. Can't get enough of kitties? 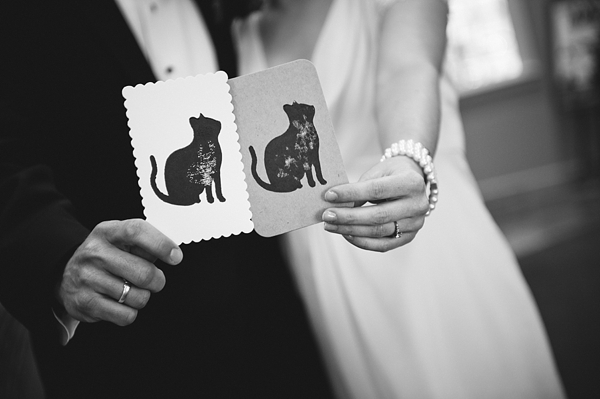 Head over to our "It's a Nice Day for a Cat Wedding" Pinterest board for more cat-themed wedding ideas or shop our Cat Lovers Must Haves! All photos by Chelsea LaVere. 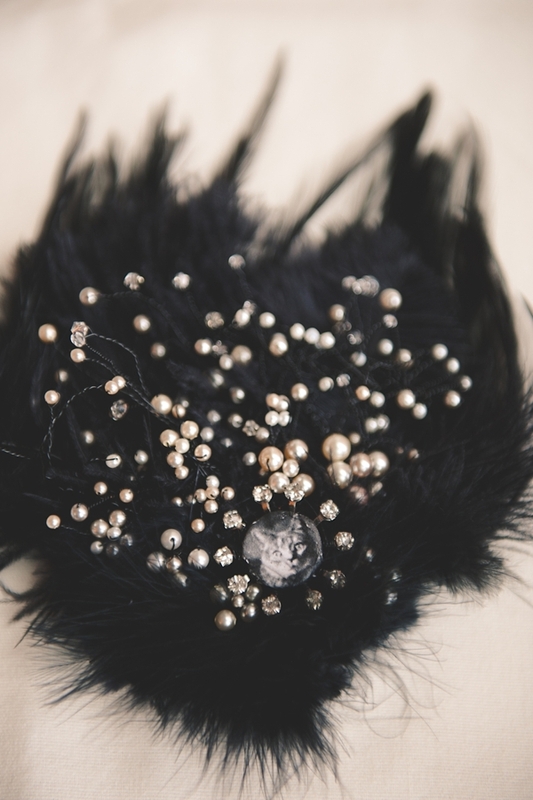 You can see Ashley and Ryan's full wedding feature on Poptastic Bride.